This deck of cards is perfect for children’s classes, games nights, and family gatherings. Plus, its unique faces and suits teach spiritual principles and virtues while you play! Quintessence is a deck of cards is perfect for children’s classes, games nights, and family gatherings. It can be used to play any game that uses a standard 52-card deck, (including Euchre, Hearts, 21 and more) as well as seven new games describe in the included fold-out game booklet. Note: If you are playing in a large group, you might want more than one deck for someThis deck of cards is perfect for children’s classes, games nights, and family gatherings. of the games. Plus, its unique faces and suits teach spiritual principles and virtues while you play! The ten numbered and three face cards have been replaced by principles or ideals that will make the world a better place. The numbers or letters at the corner of each card correspond to those on a regular deck. If you look carefully, you will find something – a word, leaf, star or design element on each card to link it to the number it represents. 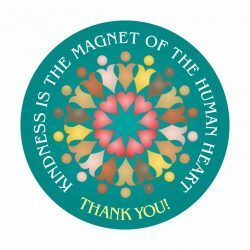 Most of the designs used come from our popular T-shirts, buttons & stickers, and will be old friends of long-time Bahá’ís. In fact, if you need prizes for a community game night, matching buttons or mirrors would be perfect. These are professional-quality cards printed on German black-core paper, boxed and shrink-wrapped. Buy one deck for your family, or buy in bulk for presents for your community. BTW: Quintessence is a noun that means “The highest or purest example of something,” which is why this is the quintessential card deck!